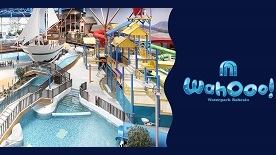 All ticket prices are stated in United Arab Emirates Dirhams. All purchases are made in United Arab Emirates Dirhams.Your bank might charge you for a currency conversion if you are buying from country other than United Arab Emirates. Tickets can be purchased online using valid Visa or MasterCard credit cards only. Your bank might charge you an additional amount if you are using an international credit card.Pricing and Availabilityvirginmegastore.ae acts as the ticketing agent to the promoter of an event, the person or entity responsible for organizing and running the event, which means virginmegastore.ae does not set the ticket prices or determine seating allocations. Tickets are generally sold through the Virgin Megastores and online through virginmegastore.ae. Both sales points generally access the same ticketing system and inventory. Therefore, tickets for popular events may sell out quickly. Occasionally, additional tickets may become available prior to the event. However, virginmegastore.ae does not control this inventory or its availability. Once you have confirmed your order of tickets, you will receive an email with an Order Number and Invoice. You will have 10 minutes to submit your payment trough the online payment system or your order will be automatically canceled and you will need to start again. Once you have submitted payment information online and your ticket purchase is successful, you will see a Payment Status page online. You will also receive an Order Confirmation with your e-tickets attached via email to the email address inbox you supply on the online booking form.If you do not find your Order Confirmation with your e-tickets in your inbox please check your Spam/Junk folder. To avoid our emails being seen as junk, please add our "From" address to your Address Book. The information contained on your Order Confirmation and e-tickets is important and you should keep it safely. Your e-tickets contain a unique Barcode which should be quoted in any correspondence and it will be required for you to collect your physical tickets when they become available. If you do not receive an Order Confirmation with e-tickets (in the form of an Order Confirmation page or email) after submitting payment information (but especially if you experience an error message or service interruption after submitting payment information), it is your responsibility to confirm with virginmegastore.ae on the following email address (tickets@virginmegastore.me) to confirm that your order has been placed. If it has, we will ensure you get your Order Confirmation with your e-tickets. If we confirm that the order was not placed, you may safely reorder online. virginmegastore.ae is not responsible for any loss you may incur if you fail to confirm with us before the event and in due time to remedy the situation. When purchasing tickets on virginmegastore.ae, you may be limited to a specified number of tickets for each event. This limit is posted during the purchase process and is verified with every transaction. We do this to discourage unfair ticket buying practices. If you order more than six tickets we may contact you for verification and request photo identification so that we can reduce the instances of fraud. If we suspect fraud, we may in our sole discretion cancel the purchase and refund the ticket value to the credit card used for the transaction. .
You can choose to collect your physical tickets from any point of sale listed in the country where the event will be held. You will need to present the printed e-ticket with its unique Barcode together with your valid official photo ID. When collecting your physical tickets, you might be requested to present the credit card you used to purchase tickets from virginmegastore.ae.Allow for 24-48 hours for the tickets to be delivered to selected point of sale or to your home address. Opening acts or guests may sometimes tour with headlining performers. virginmegastore.ae is not always aware of the opening acts, the timing or the length of the opening acts. These opening acts are subject to change or cancellation at any time without notice. No refund is due if this happens. If seat allocation is required by the promoter for a particular event, the feature will be available for you to select your preferred seats online and at the time you select your ticket category. Before you actually purchase your tickets, virginmegastore.ae will give you the opportunity to review the seat location, event and performance date you have chosen. Once you make your final selection and purchase your tickets, virginmegastore.ae will not allow exchanges or refunds for any reason. By making your purchase, you agree to this condition. Please carefully review your order before you make the payment. Once you have your tickets, keep them safe. The above condition of sale means that lost, stolen, damaged or destroyed tickets, or tickets claimed to be not delivered/not received, cannot be replaced or refunded and you may not gain admittance to the event. By purchasing the ticket, you agree that you will not attempt to evade, avoid or circumvent the above condition of sale in any way. You also agree that you will not contact virginmegastore.ae to seek a refund, return or exchange. Nor will you dispute or otherwise seek a "chargeback" from the credit card company used to make the purchase. Should you do so, your tickets may be cancelled and virginmegastore.ae may, in its sole discretion, take any measures necessary to ensure that any pending ticket sales are cancelled and that you are prevented from buying tickets in the future. The only possible exception to this policy is if an event is postponed or cancelled. See Cancelled and Postponed Events below. Occasionally, events are cancelled or postponed. Special conditions will apply in such case. These conditions are set by the promoter and vary from an event to another. virginmegastore.ae will attempt to contact you either by phone or email to explain the procedures and conditions required by the promoter for a refund or exchange if it is due. When we contact you, we will use the contact details you provided at the time of booking. To get any refund or exchange due you must adhere to the procedures and conditions. In case of Event Cancellation, all Tickets purchased from Virgin Megastore branches could be refunded at the relevant point of sale where each Ticket was purchased. To Avoid refund rejection, customer should present his original ticket and original ID when asking for a refund. Please note that refunds, when made by virginmegastore.ae, are made only to the credit card that was used in the online ticket purchase for the value paid for the ticket. virginmegastore.ae will not be liable for travel or any other expenses that you or anyone else incurs in connection with a cancelled or postponed event. If the amount you paid for a ticket is incorrect for any reason, regardless of that reason, virginmegastore.ae will reimburse the difference if the amount is overpaid; require you to pay the difference if you underpaid, or cancel the ticket. If the ticket is cancelled, a refund of the amount you paid will be made to you. If you are able to purchase tickets before the scheduled sale of tickets start, virginmegastore.ae reserves the right to cancel the tickets. If the ticket is cancelled, a refund will be made at virginmegastore.ae's sole discretion. 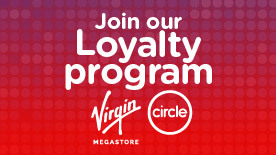 Please ensure that you use only one browser window to look for tickets and place an order online on virginmegastore.ae. Using multiple browser windows can cause your session to time out and other errors that could mean that you lose your tickets. The promoter reserves the right, without refund of any amount paid, to refuse admission to, or eject, any person whose conduct management deems disorderly. Unlawful resale (or attempted resale), counterfeit or copy of tickets is grounds for seizure and cancellation without compensation. Tickets may not be used for advertising, promotions, contests or sweepstakes, unless formal written authorization is given by the promoter, provided that even if such consent is obtained, any use of virginmegastore.ae trademarks and other intellectual property is subject to virginmegastore.ae consent.